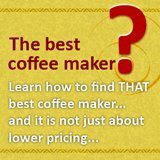 Insulated coffee mugs that can heat up your coffee? 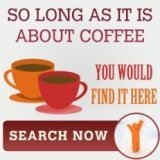 Insulated coffee mugs that can heat up coffee and even make coffee! Insulated coffee mugs that keep coffee warm is nothing new, but have you considered one that can heat up your coffee again, or even do a French press for you? I would not go into how important is hot coffee, which we cover in another article. Rather, here we would explore how normal thermal mugs can re-heat your cuppa! Truth is, with the 12 volt coffee makers around, having hot coffee while traveling is nothing new. But, imagine the hassle of fixing up a coffee maker and the distance you does is all within the city -probably not worth the effort. I guess the coffee companies probably saw a niche in this area, and introduces temperature controlled thermal mugs. 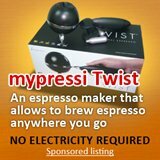 This is a simple device that go beyond the usual thermal mugs that keep coffee warm, it can heat a luke warm coffee into a brewed coffee's temperature. Comes with all the features of thermal insulation of an insulated coffee mugs, these temperature controlled device, can also increase the temperature with a simple plug into your vehicle's cigarette lighter socket. There are quite a few brand and design out there, but from personal observation, Frontgate and Coldmate** mugs seem to be the most popular. Now that this article seems to be exploring the "other function" of a simple thermal mugs, have you heard of one that is actually a French Press? Coffee Mug that is also a French Press! But, a thermal mug that can actually make coffee is a superb plus point. 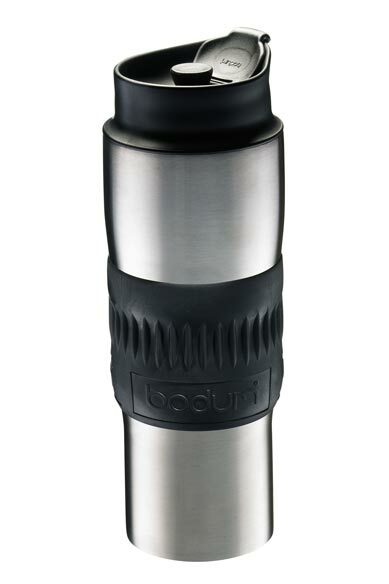 So far, I only know that Bodum has this insulated travel press. 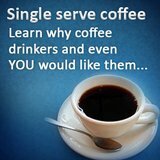 All one need to do is to put the ground coffee into the coffee mug, pour hot water, when finish brewing, push down the plunger and enjoyed the cuppa! The main draw back would be the more detailed cleaning for the next top up, versus the simple pouring in of coffee of a usual thermal cup.